March | 2013 | my heart is happiest when i travel. read. write. connect. pretending he was her baby. like a shadow, a copy cat. destined to never be friends. if just for a moment. crying tears of joy and pride. Loving him because of them. This entry was posted in Poetry, Slice of Life and tagged #slice2013, family, growing up, Poetry, reflection, Slice of Life on March 31, 2013 by aggiekesler. Today begins my Spring Break, but more importantly, my trip to Cairo, Egypt! I can’t tell you how excited I am about this trip! I’ve always wanted to see the pyramids, so when the opportunity to see this amazing wonder came about, I bought my ticket straight away. Well, the time has finally arrived. Today’s slice is a list of all the things I’m looking forward to on this trip. Standing in awe of the pyramids, particularly the Great Sphinx of Giza. Riding a camel…I know, I know, so cliche, but hey, I’m only in Egypt once, right? Shopping at the old bazaars and street markets. I’m really looking forward to finding a piece of Egyptian art and some beautiful tapestries to bring back home. Taking a boat trip down the Nile. Going horseback riding at sunset near the pyramids. Is this really my life? Visiting the Museum of Egyptian Antiquities to see the mummies and catch a glimpse of King Tut and his artifacts. Marveling at the world’s largest temple (over 70 acres! ), the Temple of Karnack in Luxor, the ancient Egyptian city of Thebes. Traveling to Aswan on the overnight sleeper train (a first!) and taking a felucca ride around the surrounding islands. Exploring the Valley of the Kings, located on the West bank of the Nile and known to contain 63 tombs and chambers, as well as the Valley of the Queens, a similar place except for housing the wives of pharaohs. Trying some typical Egyptian food. I’m not sure what to expect, but I’m looking forward to tasting new dishes! Being in the sun! The winter has lingered a little too long in Shanghai, and I’m looking forward to feeling the warmth of the sun on my skin and not having to wear my heavy coat. Oh, and a tan would be nice, too! The two 10+ hour plane rides. This past month has been so busy that I’m looking forward to many uninterrupted hours of reading! Lastly, I’m looking forward to making new memories and writing in my writer’s notebook. This entry was posted in Slice of Life, Travels and tagged #slice2013, Cairo, Egypt, Slice of Life, traveling on March 30, 2013 by aggiekesler. For months, I’ve been working on my version of “Where I’m From”. I hadn’t been able to get it quite right, and I’m not sure I have even now, but I’m finally willing to share it. Any feedback would be appreciated. the smell of warm banana puddin’ wafting out of the kitchen. whose branches held the promise of adventure. and bedtime stories with one Poky Little Puppy. and grandmas who are secret keepers. passing notes and whispering secrets. Punky Brewster and Bill Nye. from school cafeterias that smelled like PB & J.
Aggie bonfires and cross-town rivalries. from first kisses and broken hearts. destined to see the world. This entry was posted in Poetry, Slice of Life and tagged #slice2013, family, growing up, Poetry, reflection, Slice of Life on March 29, 2013 by aggiekesler. On my ride home from work today, I was reading The Five People You Meet in Heaven by Mitch Albom and came across a really interesting section of the text that I decided to use as a mentor text. In the section on pages 62-63, when the author is describing the things Eddie learned while at war, he begins each sentence with “He learned…”. I thought I could write a slice about what I’ve learned while living in Shanghai. Here goes. I’ve learned to tune out the incessant honking. I’ve learned that, contrary to what I previously believed, the sky is not always blue. I’ve learned enough Chinese to make people think I know more than I do. I’ve learned that bikes, even when locked up, can and will disappear. I’ve learned that life with an ayi is pretty rad, and I plan on having one as long as possible. I’ve learned to let things go more. I’ve learned there is more than one right way to do things. I’ve learned that the struggle, even when it seems so impossibly difficult that you want to give up, is worth it. I’ve learned to use chopsticks with ease. I’ve learned that fortune cookies aren’t really a Chinese thing. Oh, and neither is General Tsao’s chicken. I’ve learned that I don’t need a car, and that I don’t actually miss it all that much. I’ve learned to deal with crazy taxi drivers. I’ve learned that a green flashing man at a crosswalk doesn’t necessarily mean it’s safe to cross. I’ve learned that brunch is an essential part of my weekend. I’ve learned how to appreciate life more. I’ve learned that friends, especially when you live halfway around the world, can and do become your family. I’ve learned how to survive in a city of 24 million people. I’ve learned to be a vegetarian. I’ve learned to be more tolerant of others. I’ve learned that we pay way too much for DVDs in America. I’ve learned the world isn’t as big as it seems. I’ve learned about the Chinese culture, but I realize I want to know more. I’ve learned that stinky tofu is one of the worst smells to ever assault my nose. I’ve learned the art of bargaining. I’ve learned that Shanghai can be both the best and worst city to live in, even in the span of one day. I’ve learned, as one year turned to two and two years turns to three, that I will forever be different because of this experience. This entry was posted in Slice of Life, Travels and tagged #slice2013, China, living abroad, reflection, Shanghai, Slice of Life on March 28, 2013 by aggiekesler. 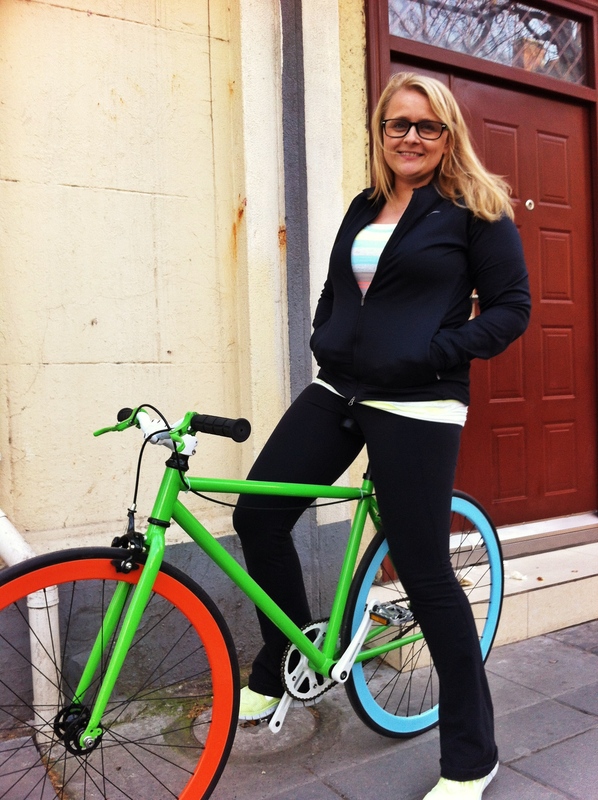 As mentioned in another slice, I bought a custom-made bicycle a few weeks ago. I was finally able to pick it up, and I love it! I love that there’s not another one just like it in Shanghai. I love that it’s “me”– bright, colorful, and fun! I love that it’s very lightweight and easy to ride. I love that I will be able to exercise again in a fun way, because, let’s face it, if I’m not having fun doing it, I’m not going to exercise. Riding home on my new bike filled my heart with joy. Maneuvering between the other bikes, scooters, cars, and pedestrians got my adrenalin pumping. Listening to my music and pedaling to the beat, I was able to drown out everything else and enjoy the ride. The feeling of sweat on my skin was a pleasant reminder that I need to do this more often. The high I felt when I returned home from my ride got me through the night. I’m so excited to have a bike again, and I hope that I can keep this one for a long time! This entry was posted in Slice of Life and tagged #slice2013, bikes, China, Shanghai, Slice of Life on March 27, 2013 by aggiekesler. 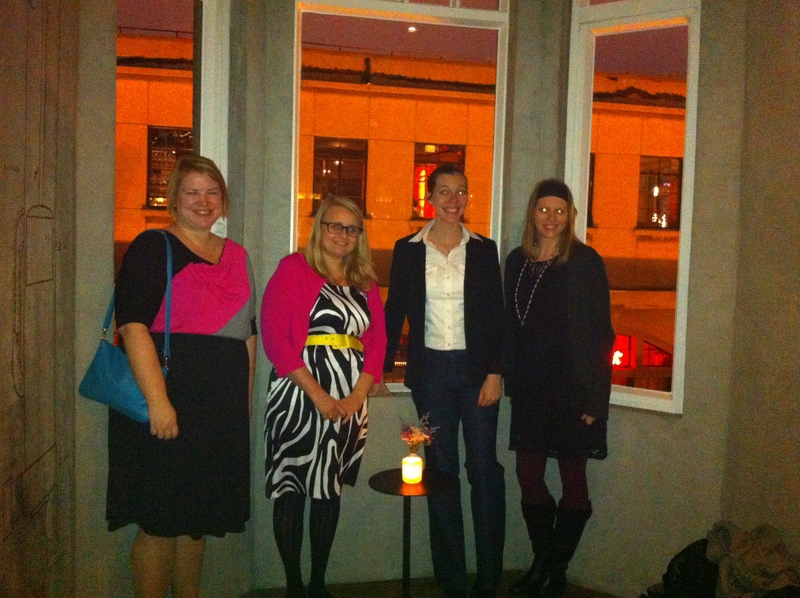 Tonight was girl’s night at one of my favorite restaurants in Shanghai, Mercato. 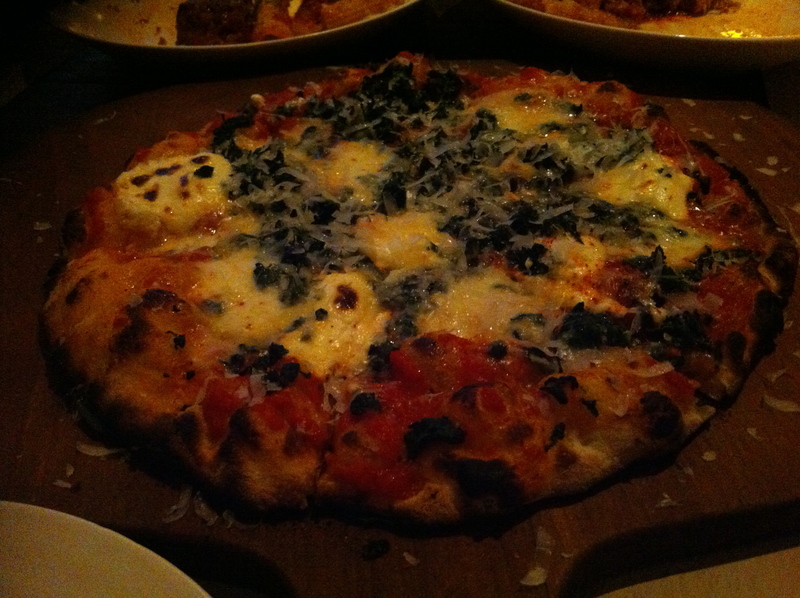 Mercato is situated on the Bund and since we were seated near a window, we had a perfect view of the city skyline all lit up at night. 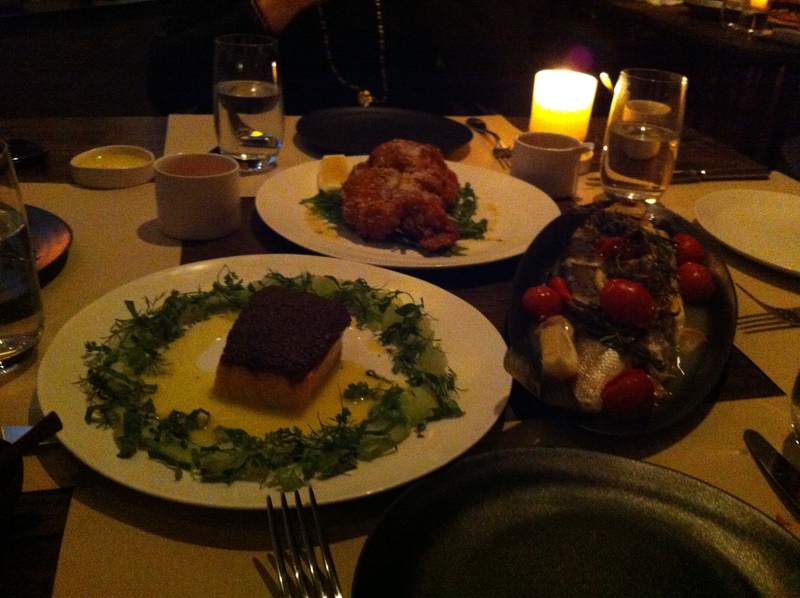 We decided to go to Mercato since they won Restaurant Week, and had extended their tasting menu deal through this week. This meant we had an insane amount of food for the low price of 248 RMB ($40) per person. Considering that each main is normally about 200 RMB, this was a great deal! 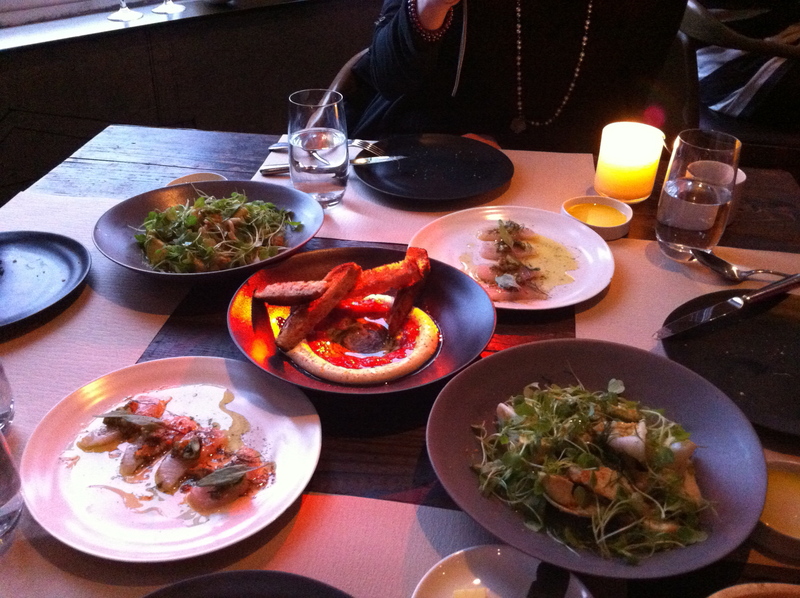 I thought I’d tell today’s slice of life through pictures so that you could see all the yummy foods we ate. 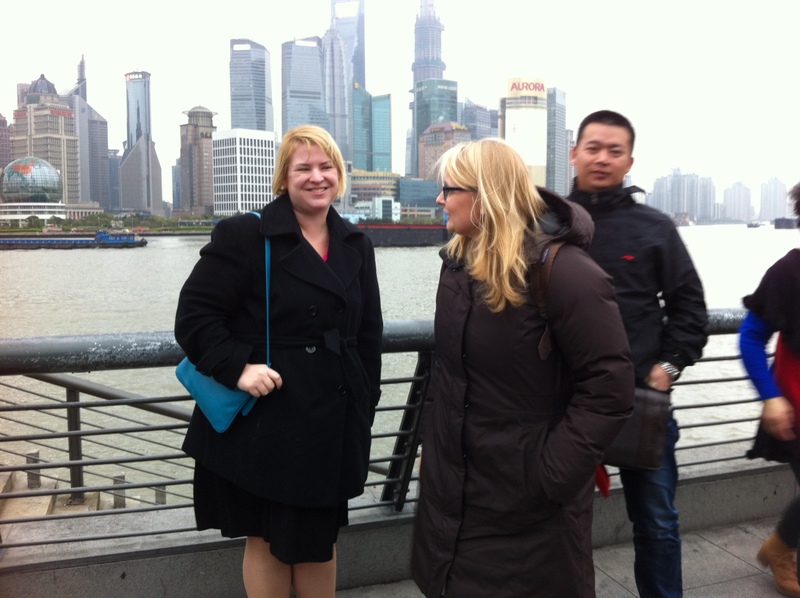 Melissa and I got to the Bund early to walk around and take a few pictures. Here’s my favorite one. I asked a local Chinese lady to take our picture. Of the three she took, this is the best one. I’m serious…even with the random Chinese guy and me not looking at the camera! 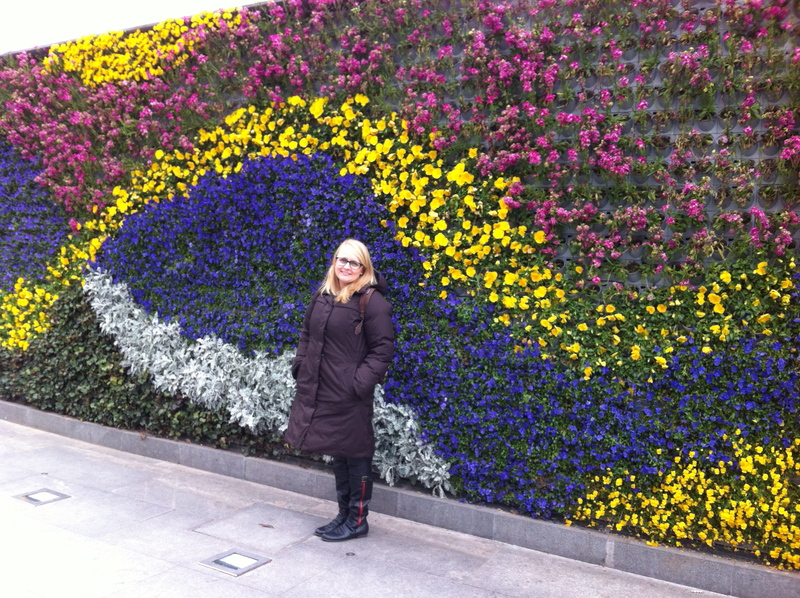 I love the beautiful wall of flowers on the Bund! 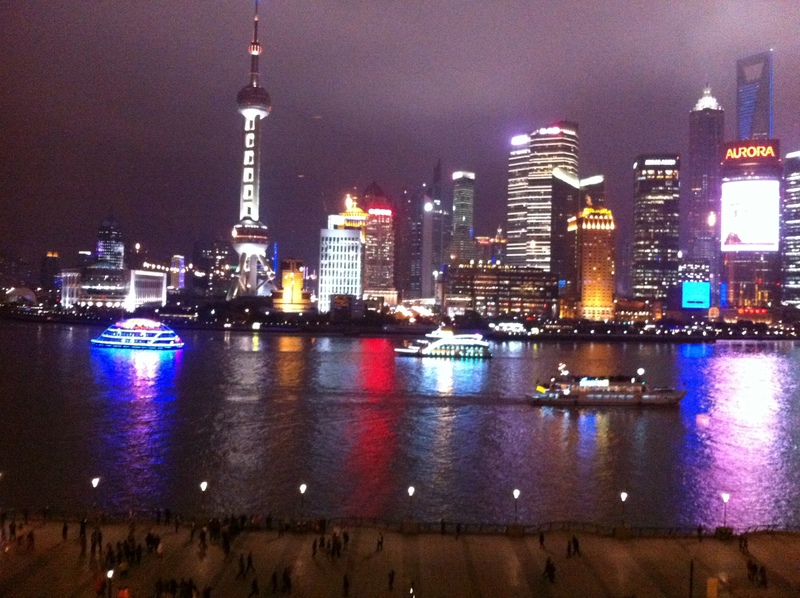 Our view of the Bund from our table. How pretty is that skyline? 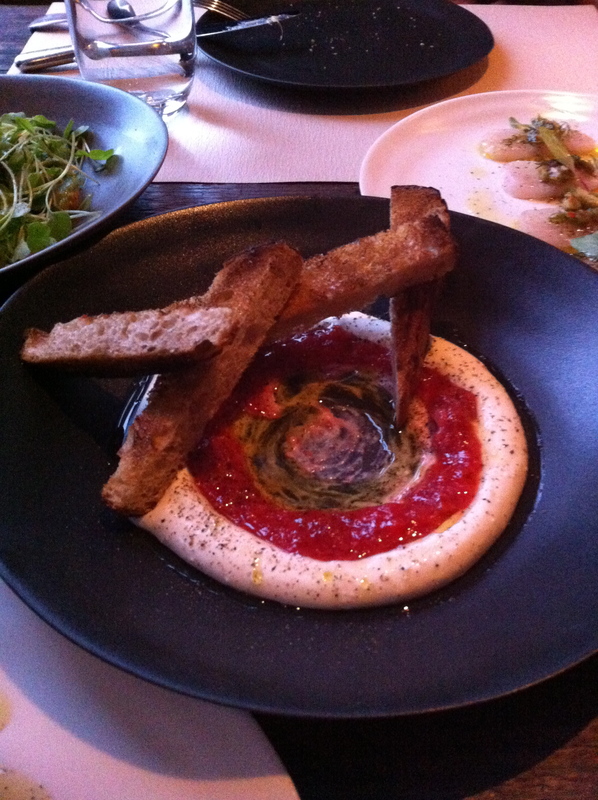 A close up of my favorite dish on the menu- Ricotta and Strawberry!! I’d say tonight was a success! 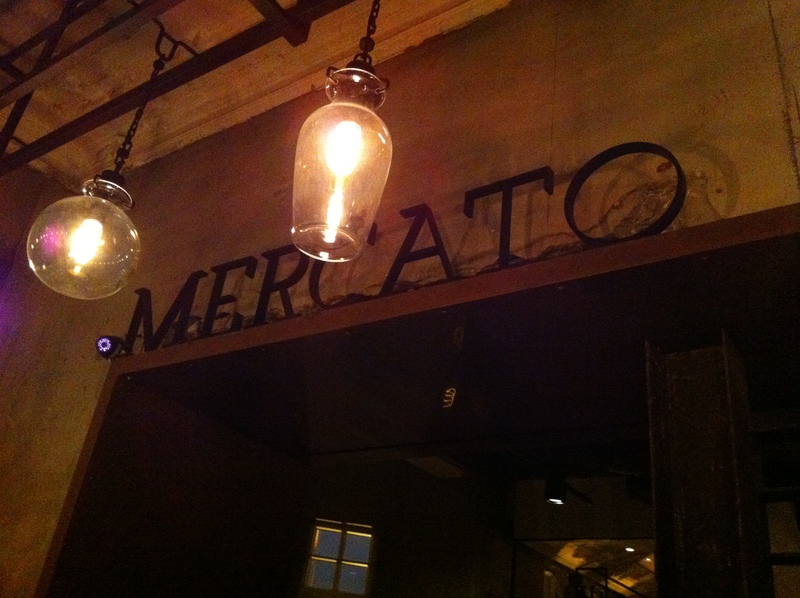 If you are ever in Shanghai, you have got to try Mercato. You will not be disappointed! 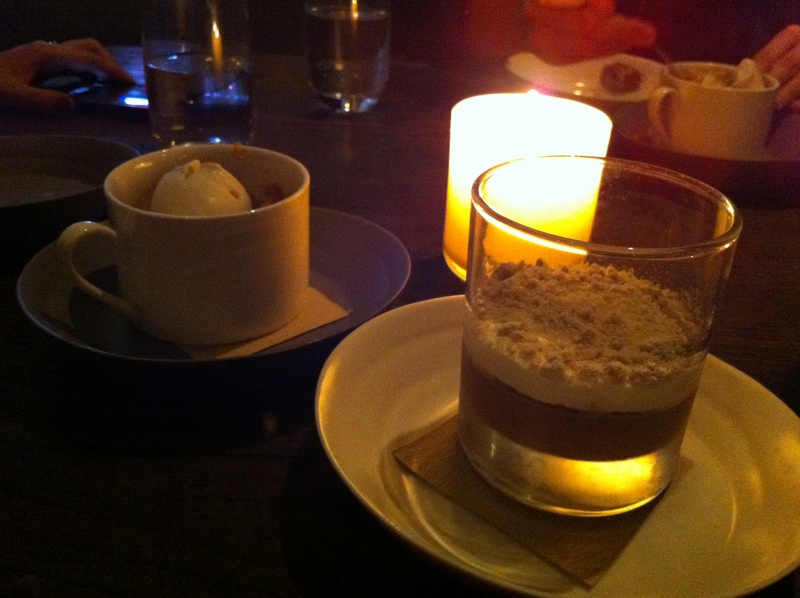 This entry was posted in Slice of Life, Travels and tagged #slice2013, China, friends, restaurant review, Shanghai, Slice of Life on March 26, 2013 by aggiekesler. Today would have been my grandparent’s sixty-third wedding anniversary; March 25, 1950 was the day my Mamaw and Grandaddy said “I do.” They were both incredible people who loved one another until the very end. Mamaw passed away on August 2, 2009, and Grandaddy just over a year later, on August 7, 2010. I miss them dearly, and think of them often. In honor of my grandparents and their love for one another, I’d like to share a tribute to them both. 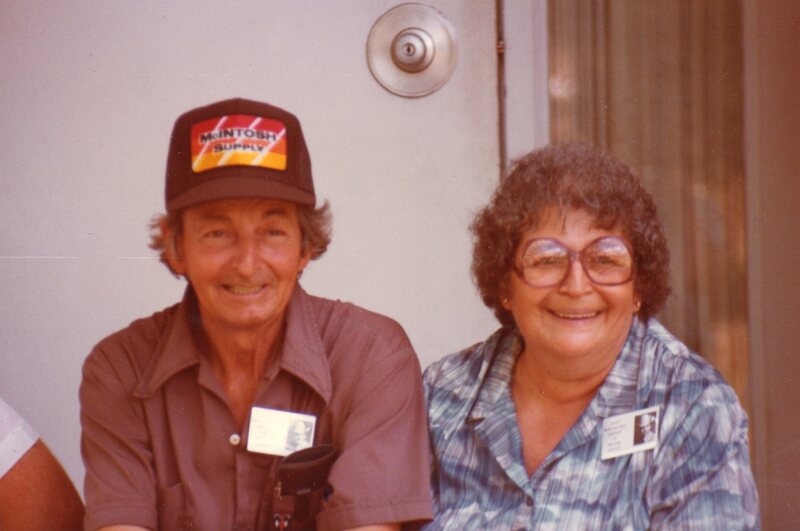 Mamaw and Grandaddy in their younger days. 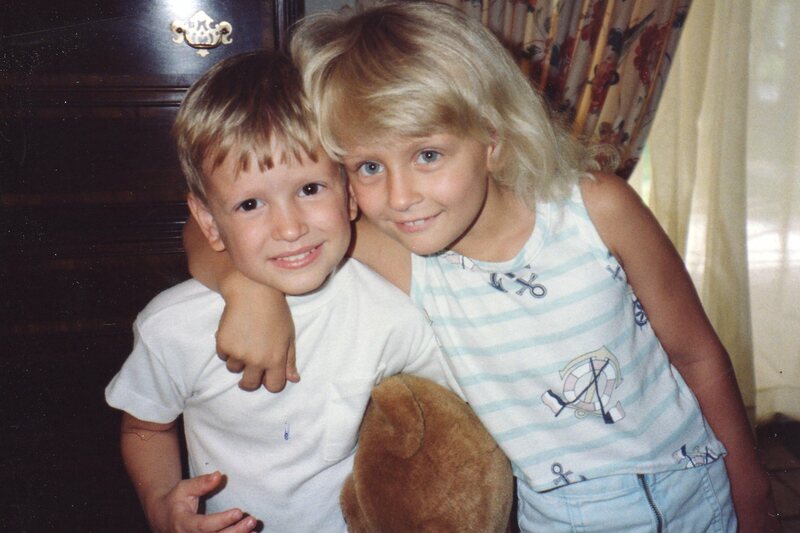 How cute were they? 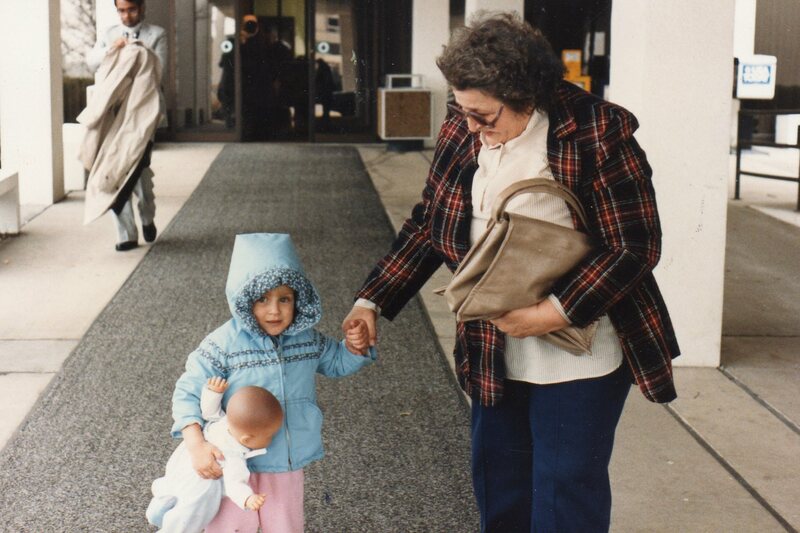 Mamaw and me on January 30, 1985, the day my little brother was born. she loved me more than anyone ever could. whenever she entered a room. milk a cow, drive a tractor, and build a fort. caught up in the excitement of the auctioneer’s fast-paced voice. better than anything you ever tasted! It was always just right. This picture embodies our relationship– always teasing one another! you name it, he could build it. until his old ones were worn out. to Nilla Wafers and Tootsie Rolls. finding that tickle spot that drove me crazy! even if you didn’t have time to listen to it. you could count on him no matter what. 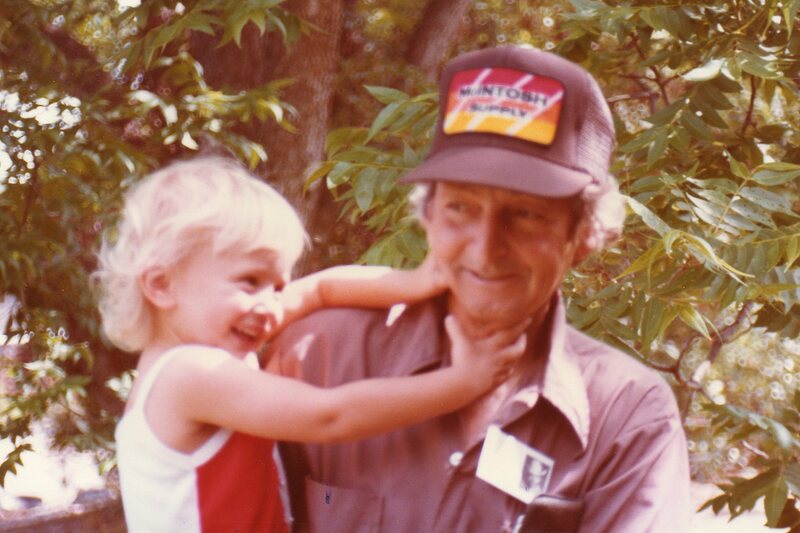 Grandaddy and me just after Mamaw passed away. 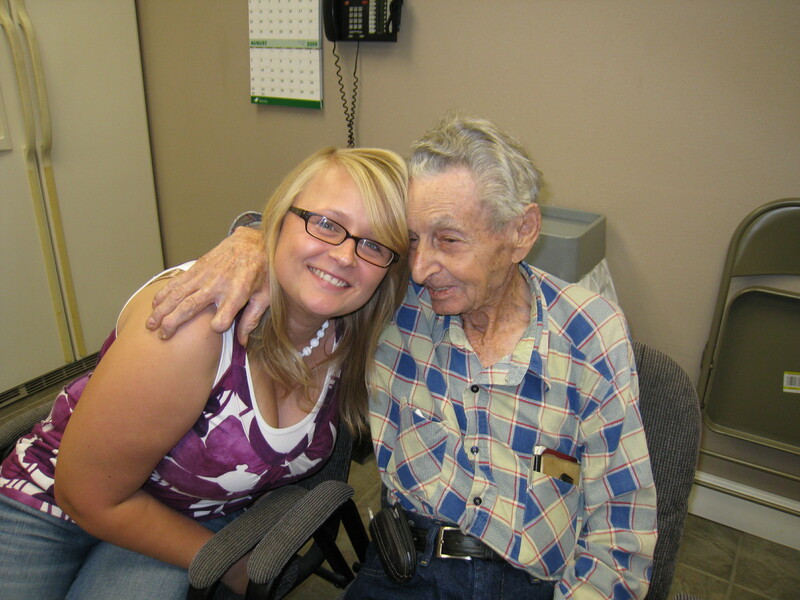 He was such a loving man. This entry was posted in Poetry, Slice of Life and tagged #slice2013, family, Poetry, reflection, Slice of Life on March 25, 2013 by aggiekesler.